#ExpertSpeak: Do You Apply Sunscreen Before Or After Your Moisturiser? When it comes to skincare and makeup the struggle is real! What goes on first, how do you layer products correctly? 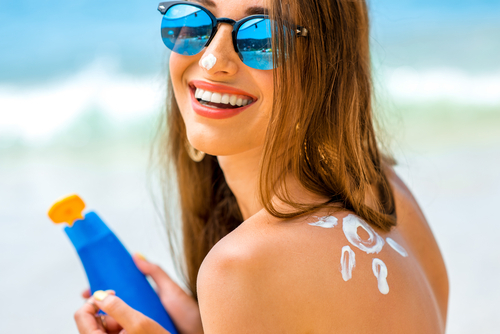 Since we have already established the importance of sunscreen in your everyday life far too many times before, we'll get straight to the point! Do you apply moisturiser before sunscreen or do you apply sunscreen before moisturiser? It all boils down to your skin type. Most days I get by skipping my moisturiser and going straight to sunscreen. But then there are days when my skin feels particularly dry, what do you do then? How do you effectively follow that multi-step skincare routine? We asked the experts to weigh in! Dr. Jaishree Sharad, Medical Director, Skinfiniti Aesthetic & Laser Clinic says,"You should always apply your moisturiser first! Sunscreen can form a physical or a chemical barrier on your skin depending on the kind of sunscreen you choose. You should not moisturise skin which already has a protective barrier because chances are it won't get properly absorbed into your skin. Or your moisturiser could also affect the way your sunscreen performs." So always remember, apply moisturizer BEFORE sunscreen! Looking for some affordable sunscreen's? Check out this post!